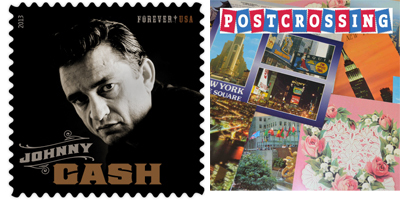 Hear about country music's legendary "Man in Black" and about exchanges of colorful postcards in June's edition of Your Postal Podcast. First, you'll hear some insights about Johnny Cash, who was recently honored with a Forever Stamp. Next, you’ll learn how one website has gathered together nearly a half-million people from around the world for the purpose of exchanging postcards. As always, the monthly audio program concludes with a roundup of the latest postal news. Both the audio and transcript versions of this and previous shows are available now at YourPostalPodcast.com. Thanks for listening – and don't forget to visit Your Postal Blog for daily updates on all things postal. Transcript for the June 2013 show. To comment, send an e-mail to yourpostalpodcast@usps.gov.